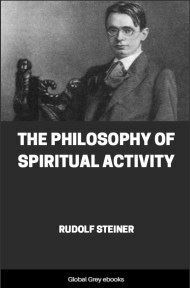 Of all of his works, The Philosophy of Spiritual Activity is the one that Steiner himself believed would have the longest life and the greatest spiritual and cultural consequences. 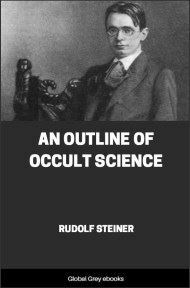 It was written as a phenomenological account of the results of observing the human soul according to the methods of natural science. 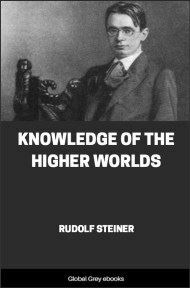 This seminal work asserts that free spiritual activity - understood as the human ability to think and act independently of physical nature - is the suitable path for human beings today to gain true knowledge of themselves and of the universe. 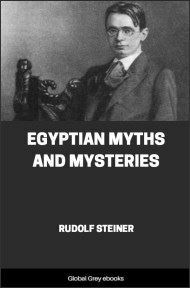 I do not quote this passage because I consider that the book in which it appears has any special importance, but because it seems to me to express the only view which most of our thinking contemporaries are able to reach, concerning this question. Everyone who claims to have advanced beyond an elementary education seems nowadays to know that freedom cannot consist in choosing at one’s pleasure, one or the other of two possible courses of action; it is maintained that there is always a quite definite reason why, out of several possible actions, we carry out a particular one. Others, too, start from the same point of view in combating the concept of free will. The germs of all that is relevant in these arguments are to be found as early as Spinoza. 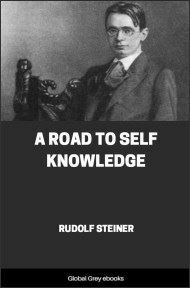 All that he brought forward in clear and simple language against the idea of freedom has since been repeated times without number, but usually veiled in the most complicated theoretical doctrines so that it is difficult to recognize the straightforward train of thought on which all depends. Spinoza writes in a letter of October or November, 1674: “I call something free which exists and acts from the pure necessity of its nature, and I call that compelled, the existence and action of which are exactly and fixedly determined by something else. 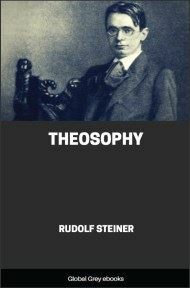 The existence of God, for example, though necessary, is free because He exists only through the necessity of His nature. Similarly, God knows Himself and all else in freedom, because it follows solely from the necessity of His nature that He knows all. You see, therefore, that I regard freedom as consisting, not in free decision, but in free necessity. “But let us come down to created things which are all determined by external causes to exist and to act in a fixed and definite manner. To recognize this more clearly, let us imagine a perfectly simple case. A stone, for example, receives from an external cause acting upon it a certain quantity of motion, by which it necessarily continues to move after the impact of the external cause has ceased. The continued motion of the stone is a compelled one, not a necessary one, because it has to be defined by the thrust of the external cause. What is true here for the stone is true also for every other particular thing, however complicated and many-sided it may be, namely, that each thing is necessarily determined by external causes to exist and to act in a fixed and definite manner.